At the Jasmine Pearl we have many amazing wholesale customers whose incredible businesses use our tea in cool and interesting ways. In an effort to showcase their amazing talents we are starting a new series of posts that highlight some of our amazing partnerships. First up is Grown & Crated and we are also pleased to team up with them to offer a special promo in honor of their Grand Opening! Grown & Crated is the brainchild of Elizabeth Johnston. It is her mission to bring the amazing artisan food products that Portland has to offer straight to the doorsteps of the people who love PDX and our craft products. Grown & Crated is great for the many people who have visited Portland and want to take a little bit of PDX home with them...they can get a taste of Portland sent to their homes anytime. For Portland locals who may buy these products at local farmers markets, but can't get to the market for one reason or another, Grown & Crated is the perfect solution, offering door-to-door delivery on Tuesdays and Fridays. There are so many amazing makers living and creating in Portland, and Grown & Crated takes great effort to showcase them. Every makers' story is told on the site and their products are beautifully displayed. Shop a la-cart or peruse the curated themed boxes. 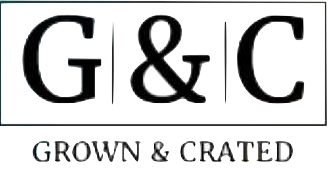 Grown & Crated has their Grand Opening today, August 8th. For the month of August use this special PROMO CODE: JASMINEP15 at grownandcrated.com to enjoy 15% off on your purchase!